New Delhi : Is it really safe to pursue education in abroad? This big question came to many minds overnight when hundreds of students from India have been held for violation of immigration rules. The students have been accused of criminal charges after the arrest of eight Indian origin men on 30 January. The men were arrested for the reason that they enrolled students at fake university operated by undercover US agents. The arrests were followed by raids to snare racketeers who misuse the student visa to help unqualified foreigners to stay and work in the US. The justice department’s Michigan branch announced the arrest of the eight men, whose names indicated they were either Indians or American citizens of Indian descent, from all over the country and charged them with visa fraud and harbouring aliens for profit, according to an indictment unsealed Wednesday. The recruiters alleged of recruitment in fake university were identified as Barath Kakireddy, of Florida; Suresh Kandala, of Virginia; Phanideep Karnati, of Kentucky; Prem Rampeesa, of North Carolina; Santosh Sama, of California; Avinash Thakkallapally, of Pennsylvania; Aswanth Nune, of Georgia; and Naveen Prathipati, of Texas. 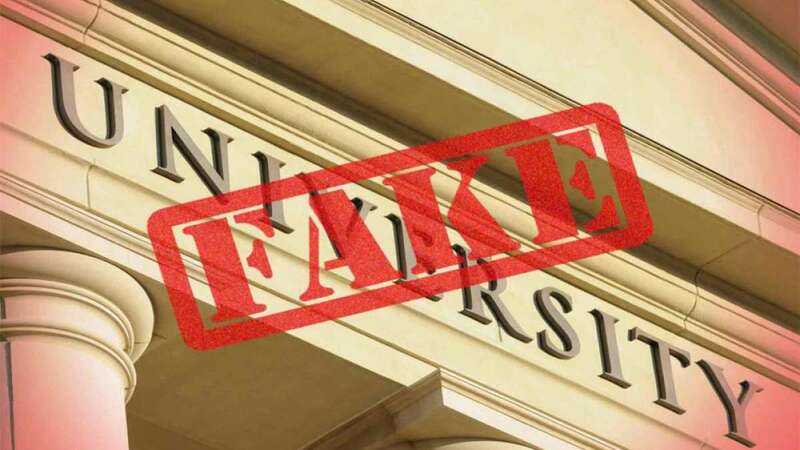 Introduced in 2015, the fake university in US was a part of an undercover operation dubbed “Paper Chase” and designed to identify recruiters and entities engaged in immigration fraud, according to the indictment. Homeland Security agents started posing as university officials in February 2017. The immigration crimes continued until this month and involved Homeland Security agents posing as owners and employees of the university. The students enrolled in the fake institution, University of Farmington in Michigan State, were also taken into custody by agents of the Department of Homeland Security (DHS) and Immigration and Customs Enforcement (ICE) in an early morning swoop all over the country. Sources confirmed that the total number of students held could be roughly around 200, according to sources and witness accounts, of the total of an estimated 600 enrolled. But, those in the know warned, all 600 could be on the deportation list and some of them could be looking at a jail term as well. Meanwhile, there is no response from ICE to requests for information about the number of Indian students arrested. In one of the early morning raids, government agents asked students to name their professors at the school to test whether they were complicit in the scam. “Don’t worry, we know you can’t name them,” one agent is said to have told the student. The enrolled students, the reflection alleged, were not victims of the scam, but wilful collaborators. “Each of the foreign citizens who ‘enrolled’ and made ‘tuition’ payments to the University knew that they would not attend any actual classes, earn credits, or make academic progress toward an actual degree in a particular field of study, a “pay to stay’’ scheme. “Rather, their intent was to fraudulently maintain their student visa status and to obtain work authorization under the CPT (a course-related curricular training programme that allows off-campus work authorization for foreign students). This was the second such operation staged by US authorities to catch and punish those suspected of misusing the student visa programme. In 2016, US authorities used a sting-operation on a university in New Jersey state for the same purpose. And, they reported success with arrests of 11 Indians or those of Indian descent, along with 11 Chinese, or Americans of Chinese descent. The scam was the same, with culturally diverse perpetrators. “We are all aware that international students can be a valuable asset to our country, but as this case shows, the well-intended international student visa program can also be exploited and abused,” said United States Attorney Matthew Schneider, who leads the case.